By most measures, Raleigh and its business environment have been tremendously successful over the last dozen years. That didn't happen by accident, but by staying relentlessly focused on executing our Comprehensive and Strategic Plans to provide a high quality of life and an affordable cost of living over the long term. In the near term, our plans must respond to the growth challenges that accompany success. Raleigh has initiatives in the works to meet these challenges including: the new Wake Transit Plan services and this fall’s Transportation Bond to provide congestion relief and new mobility choices, the new $6 million dollar annual funding to triple affordable housing, the new Unified Development Ordinance designed to promote more sustainable growth patterns, and a new initiative just getting underway to improve citizen engagement and social equity citywide. I am confident that over the next two years, these and other innovative initiatives will help keep Raleigh healthy and competitive in the long run and for all of our citizens. 1. More Affordable Housing: Over the past 2 years, Council has made significant policy and funding improvements to increase affordable housing production, but we need to look at best practices nationwide to further increase the supply of affordable housing in Raleigh. Here is one regulatory example: Replace the UDO prohibition on affordable housing zoning conditions with performance standards tied to the Affordable Housing Plan criteria for location, Area Median Income (AMI) rent ranges and other factors. 2. Better Quality Buildings: Citizens are increasingly concerned that the appearance of many new buildings meeting the minimum design standards of the UDO are either generic or worse. In order to improve the design quality of new developments, especially at important locations or in cases where significant new impacts are anticipated, include design review by the Appearance Commission and/or the Planning Commission. 3. More Predictable Zoning Process: UDO rules for transitions between new density and existing neighborhoods have been met with conflicting interpretations. Refine the UDO transition rules to provide more consistent and predictable application in the rezoning process. Infrastructure: In the wake of the 100-year drought of 2007-8, Council enacted conservation rates, equipment and education programs. Ten years later, Raleigh uses less water, even though our population has grown by almost 100,000. Currently, Raleigh is installing innovative new anaerobic digesters at the city’s main wastewater treatment plant. This new process equipment not only reclaims valuable new methane and bio-diesel resources, but also saves money by reducing treatment power consumption. Personnel: Personnel costs are a major component of any municipal budget. The city is nearing completion of the first citywide update of job classifications and compensation in more than a decade. The new job classifications will create a more efficient allocation of resources to align with 21st century workflows. Likewise, the new compensation levels will be more closely aligned with current market conditions. Together, the updated classifications and pay will reduce the overhead associated with attracting and retaining the right personnel for more than 3,500 city jobs. Reductions - Solid Waste Disposal: Raleigh is studying a program to increase recycling, thereby reducing solid waste disposal costs. Stormwater Runoff Mitigation: As the city’s new Low Impact Development (LID) rules come into wider use, more stormwater will be captured and reused onsite, reducing the city’s costs associated with mitigating environmental and economic impacts of stormwater runoff. Increases – Job Training: There is a growing trend for companies that are relocating to train and hire locally, rather than importing workers from outside. Increased city investments in local job training programs will benefit our competitiveness in attracting companies while also building the skills and wages of our existing citizens. Affordable Housing: While the growing gap between incomes and the cost of living is often driven by policies outside Raleigh, the City has a responsibility to periodically review and update our policies and programs to ensure we are doing the best we can to mitigate the impact of these changes on vulnerable populations and to ensure that the greatest number of citizens can continue to be healthy and productive members of our community. 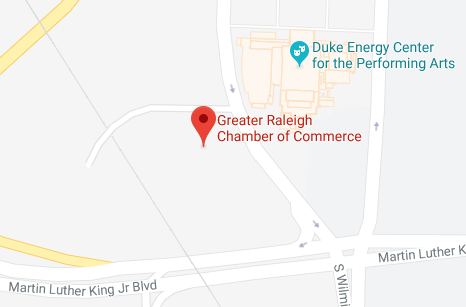 Raleigh citizens' ability to realize their potential and contribute to our economy is directly related to their opportunities for sound basic education, health care, healthy food, employment, transportation and affordable housing that meets their daily needs. “If you are a poor black kid in Raleigh or Durham, your chances of moving up into the middle class are among the worst in the country. That is according to a large national study, called The Equality of Opportunity Project, conducted by economists at Harvard University and the University of California, Berkeley.